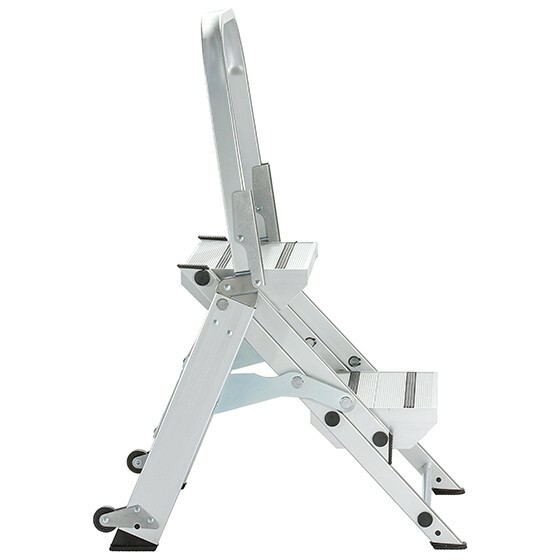 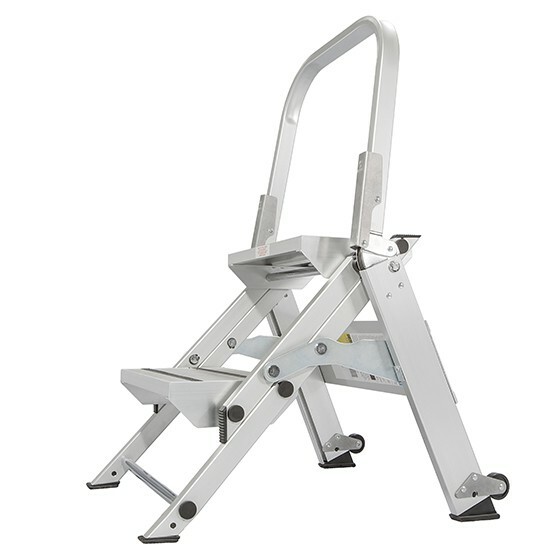 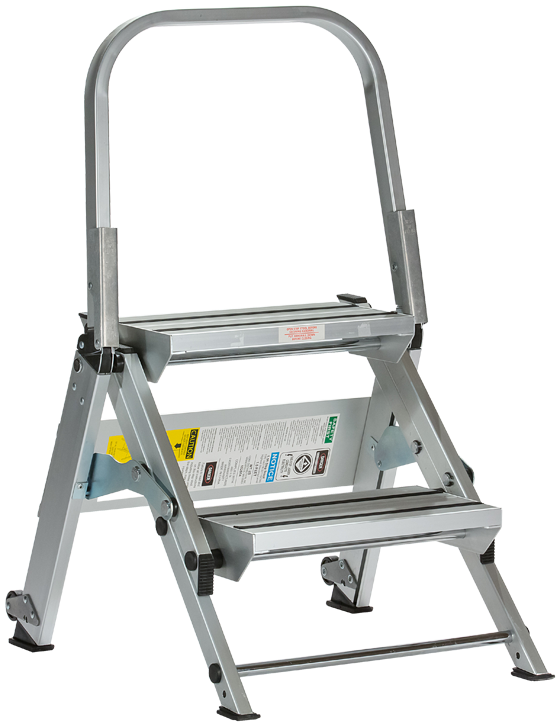 A great step stool to keep around the home or office, the Xtend+Climb® Stable Step WT2 Step Stool is a lightweight two-step stool that exceeds OSHA and ANSI safety standards. 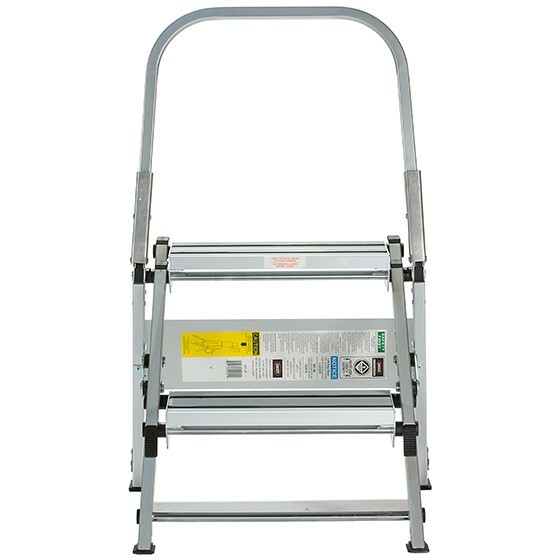 When not in use, the WT2 folds small enough to tuck in a closet. 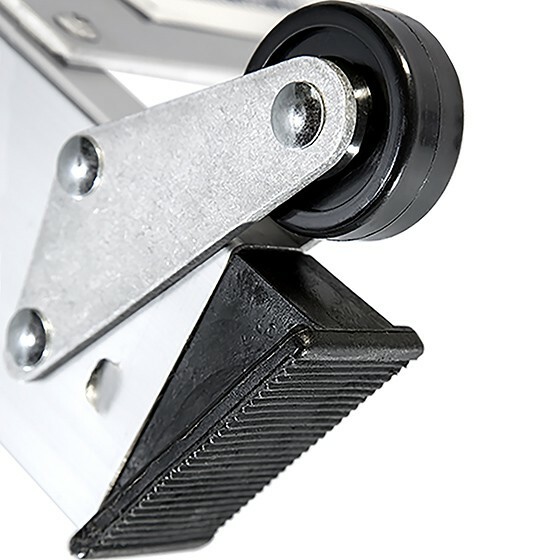 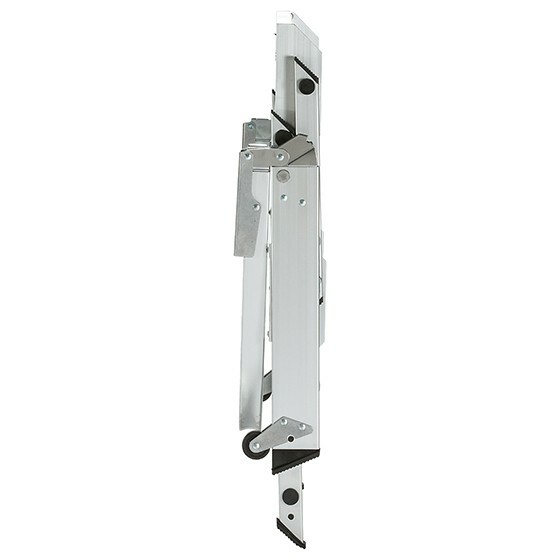 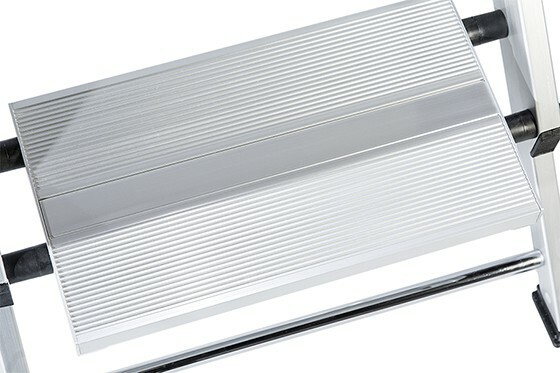 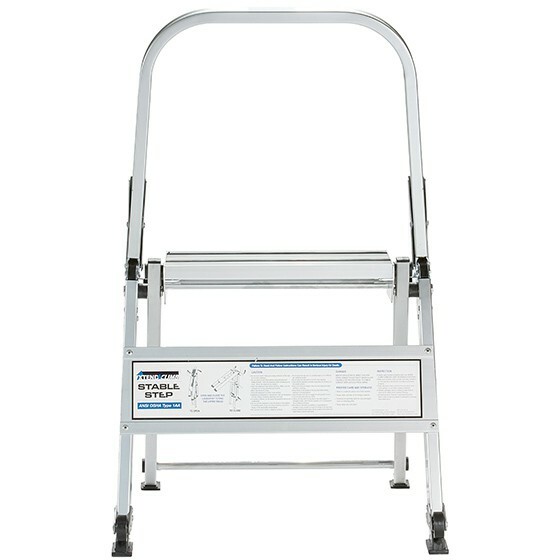 When expanded, it provides a 6.5-foot reach with deep, treaded steps for more secure footing while you’re reaching for that box on a shelf, or cleaning those tall windows. 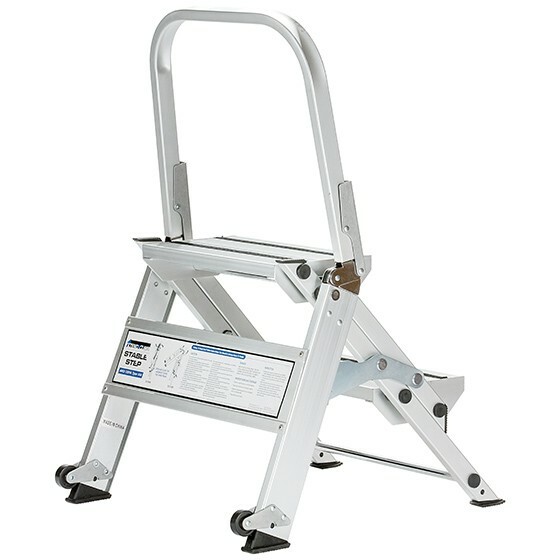 Lightweight, compact, and sturdy, the WT2 is designed for rugged use. 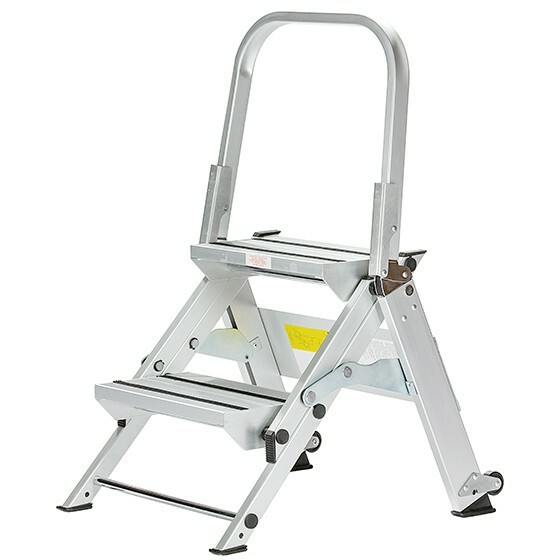 It weighs only 15 pounds, so it is easy to carry and move. 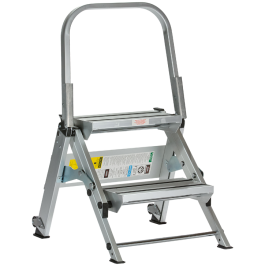 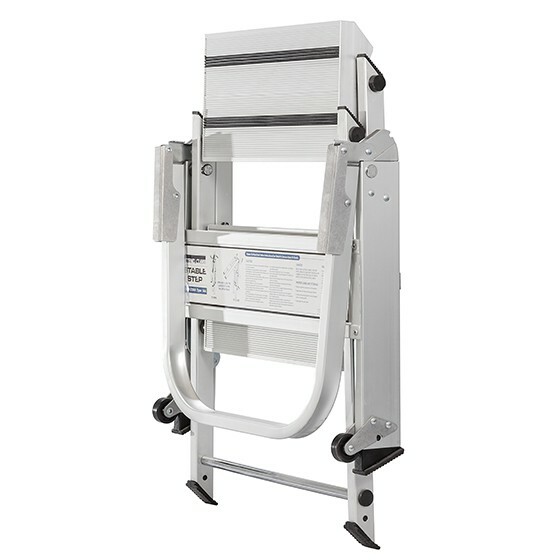 Non-slip steps and a folding grab bar make for more secure footing and stability, giving anyone the ability to safely use the WT2, including people not comfortable using a traditional step stool. 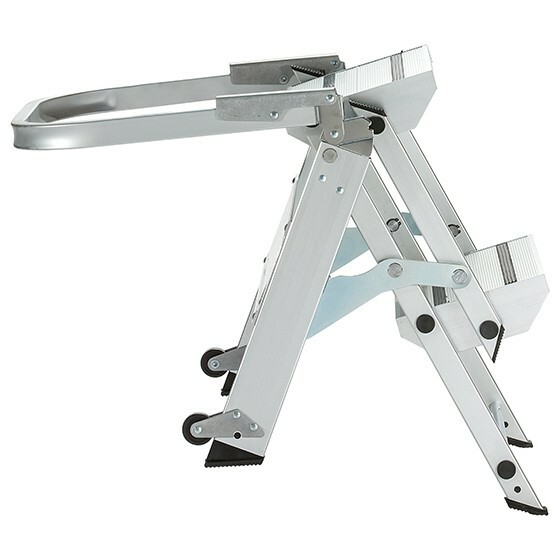 Only a few inches thick once folded, this step stool is easy to store away in small spaces and lightweight enough to carry around to any job.